Made with high quality leather that allows light and comfort fit. Choose up to 6 letters + 1 charm (or up to 7 letters with no charm). 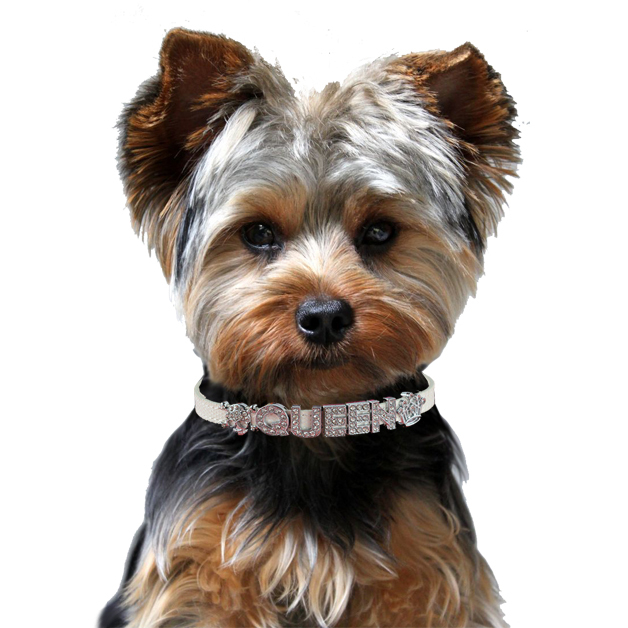 Our personalized collars feature high quality fine leather. 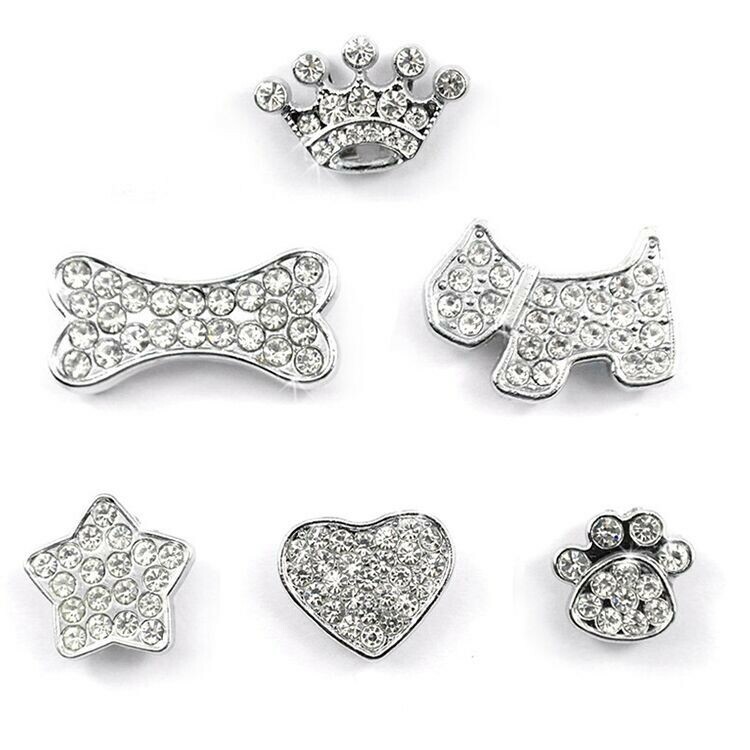 These fashionable accessories can be personalized with your pet’s initials, nickname or any message by sliding on one or more of our rhinestone letters and/or charms. 10mm Rhinestone Letters – up to 6 Letters + 1 Charm! Sizing: To determine the proper size, measure the circumference of pet’s neck and add some room for slack. Then refer to our sizing chart in product details below. 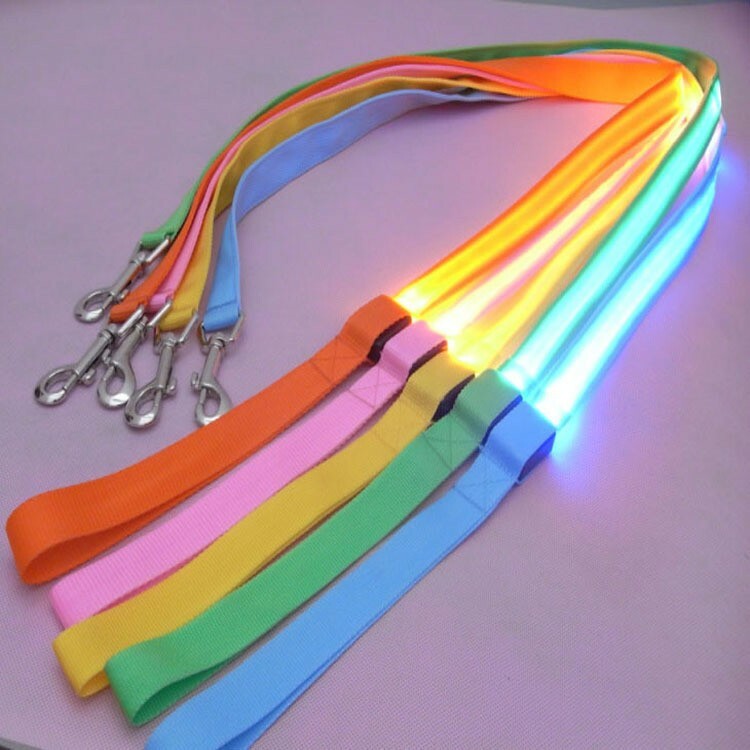 ordered 2 collars. happy with them. Bought 2 collars, one for my Chi and one for our cat. Very good quality. Bought XXS for my mini toy terrier. She is only 2.5 months old so she’ll grow into it. Love the collar. Faster shipping than stated here – received in about 10 days. Just got the collar and very happy with it. It’s light enough for my Chihuahua and looks great on her. Super!!!!!! thank you!!! we are very satisfied! beautiful name collar color green, thank you fast delivery!!!! the size xxs is perfect forma my pincher toy! the collar and the charm are amazing!!! all perfect! Very nice and the Shipping super Rapido! Just got the collar. Looks beatuiful on her.